This multi-level oval table is great for displaying men or women`s clothing and much more. The table is made of a durable laminate wood. 3/4 in. thick shelves and 11 in. between tiers. Available in Black, Cherry, and Maple. 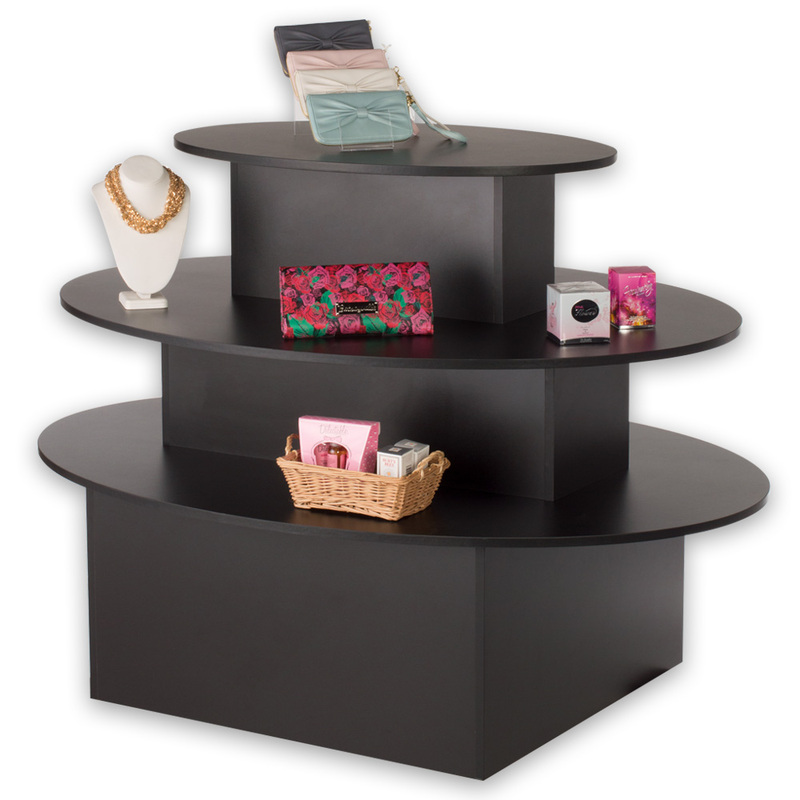 Add casters to easily move your table around your store. 2 in. optional casters easily mount onto the bottom of our Tiered Tables using included screws and your screwdriver. Some assembly required.